Research from W3Techs suggests that more than half (54.4 percent) of all websites on the Internet use Google Analytics, including popular sites like YouTube, Tumblr, Reddit and even WordPress. Google Analytics offers in-depth traffic analyses on a wide variety of metrics, but in my experience, one of the most telling is direct traffic. 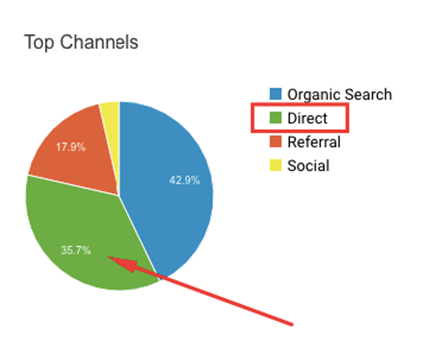 Here’s what direct traffic is, what it means for your marketing campaigns, and how to utilize Google Analytics to generate direct traffic reports. What Exactly Does Direct Traffic Involve? Plenty of marketers get confused about direct traffic and what it exactly is. By definition, direct traffic simply means that visitors arrive on your website through one of two ways – either by typing in your website’s URL directly in their search bar, or by accessing it through a bookmark. However, this doesn’t necessarily give you the full picture, because direct traffic can come from a variety of other sources as well. As you can see, the specific source of direct traffic can be a little murky at times. Typically, direct traffic occurs whenever Google cannot determine another referrer (e.g. search engines, blogs, social media, other websites, etc.). More often than not, however, direct traffic does come from someone directly typing in your URL or through a bookmark. So what’s the big deal with direct traffic? Why should you report on it, and what exactly does it mean for your brand? Generally speaking, direct traffic can mean one of four possibilities. Let’s say that your direct traffic is coming from one of the two traditional routes, where visitors are either directly typing in your website’s URL or accessing it via a bookmark. This often means that you’re getting repeat visits and that people are interested enough in your brand to return to your site. For an eCommerce store, this can mean that you’re getting repeat sales, which is indicative of a positive customer experience. Consumers were pleased with the value of your product or service, your website interface, your navigation, etc., and are potentially interested in making another purchase. Alternatively, if you’re a blogger, direct traffic indicates that readers were impressed enough with your content to return for more. It interested them to the point that they want to explore the rest of your content in greater detail. This is beneficial for obvious reasons. Although it’s not always easy to pinpoint the exact reason you’re getting these visits, you’re generally doing something right if you’re generating a sizable volume of direct traffic. If one person recommends your brand to a friend, family member or colleague, this could result in direct traffic, suggesting that they arrived on your site by directly typing in your website’s URL. In other words, this traffic came via word-of-mouth recommendations. Generating traffic this way is encouraging because it suggests that you’ve established some degree of brand loyalty. It shows that one person was happy enough with your brand to personally recommend it to another person. It also shows that the person they recommended your brand to was compelled enough to manually type in your URL. Another advantage of word-of-mouth traffic is the positive impact that it can have on conversions. If you’ve obtained direct traffic through word-of-mouth, your likelihood of making a sale increases significantly. Traditional offline marketing techniques such as print publications, direct mail and face-to-face networking have lost some of their momentum thanks to the growth in digital marketing, but they still play a role in lead generation for many brands. In some cases, direct traffic is the result of someone learning about your brand offline and directly entering your website’s URL. This differs from a branded search, where someone types in branded keywords (e.g. your company name) in a search engine and finds your site through the search engine results pages (SERPs). Acquiring direct traffic tells you that a visitor knew your specific URL and immediately went to your website. If you’re placing a heavy emphasis on offline marketing, direct traffic suggests that it’s working. You were able to captivate people enough to motivate them to directly visit your website. Put all of these points together, and they mean one thing: your brand is beginning to materialize and strengthen. Consumers have become familiar and at least somewhat comfortable with your brand to the point that it’s what pops into their heads when they’re looking for a particular product or service. The more direct traffic you receive, the stronger your brand equity typically is. This is important because “77 percent of consumers make purchases based on a brand name.” Women in particular are more likely to factor a product’s brand name into their purchasing decision. Landing directly on your site doesn’t necessarily mean visitors are ready to buy right away. The majority of your leads – even those acquired through direct traffic – will still require some nurturing. But it does show they’re at least willing to visit your site directly and perform some preliminary research. This indicates that you’ve established a solid level of brand equity and that you’re heading in the right direction. This will provide you with a quick glimpse of how your direct traffic compares to your other traffic sources like organic search, referral, social and so on. As you can see here, direct traffic accounts for 35.7 percent of this site’s overall traffic. From there, you’ll be able to see which specific pages on your website visitors initially landed on. In other words, these are the pages that visitors typed in their URL bar or bookmarked. At this point, you should be able to get a pretty good sense of which pages are being directly accessed most frequently. In many cases, this will simply be your homepage. Other times, there may be particular landing pages, product pages or even a blog post that people are overwhelmingly interested in. For instance, I had a client a while back who had a product page that was receiving a high volume of direct traffic. From that, we concluded that the page in question was particularly popular with his demographic. Analyzing this information will provide you with valuable insights you can use to fine-tune your marketing campaign moving forward. It’s important to note that, while Google Analytics is a highly-effective tool, its direct traffic reports aren’t always 100 percent accurate. 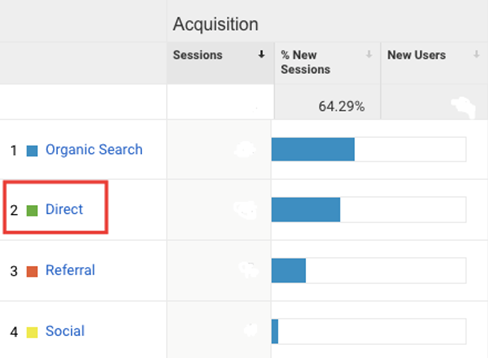 So whenever Google Analytics is unable to identify a specific referrer, they’ll classify that traffic as being direct when, in reality, it came through organic search. This isn’t to say that 60 percent of your direct traffic is inaccurate and actually came via search, but it’s definitely something to keep in mind when analyzing your reports. Looks can be deceiving at times. Nonetheless, you can still get a good idea of the state of your direct traffic. 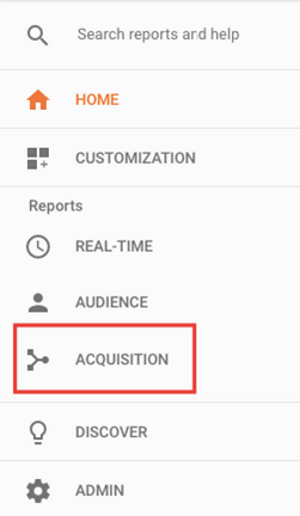 The popularity and universality of Google Analytics is a testament to its reporting capabilities. A big part of its appeal is its intuitive, easy-to-use interface, as well as the fact that the basic version is free. Although Google Analytics offers a wide array of features, marketers will definitely want to become familiar with direct traffic reports. Not only is this an efficient way to gauge the effectiveness of your word-of-mouth and offline marketing techniques, it will give you a general sense of how strong your overall brand is. 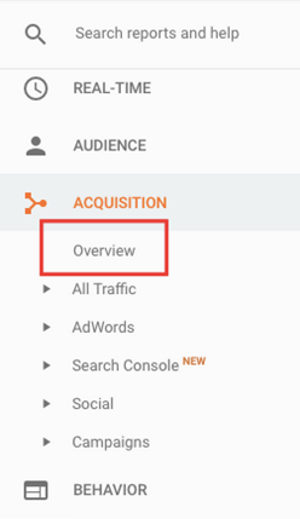 Put it all together, and Google Analytics can be a huge asset to your marketing campaign and can provide key insights to shape your strategy moving forward. nice job, I learned a lot about traffic and some of the misconceptions I had about it.